I had the most unexpected pleasure of touring the synchrotron at Lawrence Labs arranged through a friend. In layman's parlance, the synchrotron is a light factory which beams x-ray strength light at different ranges to be employed in scientific experiments ranging from recreating conditions in the earth's core to uncovering protein structures such as the ebola virus. Our friend's neighbor Tom has been running the facility for 13+ years and proved a most excellent guide. I'm not used to hard-core science so my poor brain probably absorbed only a fraction of what Tom transmitted so any apologies in advance for incompleteness and errors. 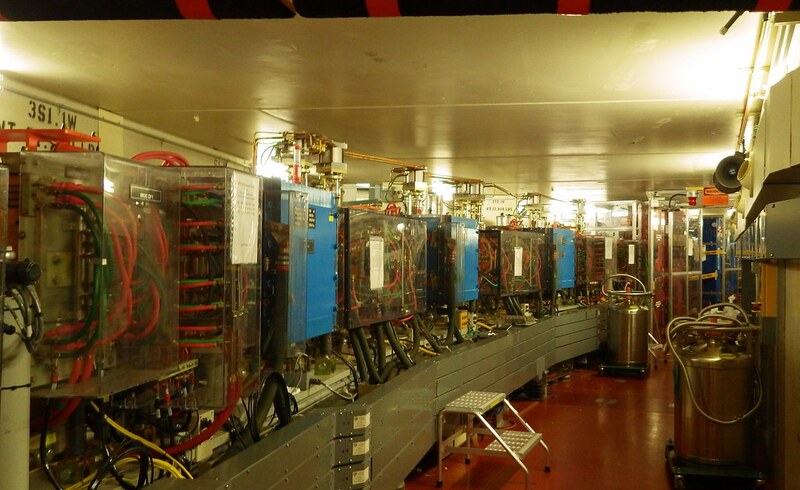 Tom first took us around the end of beamlines- beamlines are vacuum sealed pipes delivering radiation to an experimental endstation as shown above. 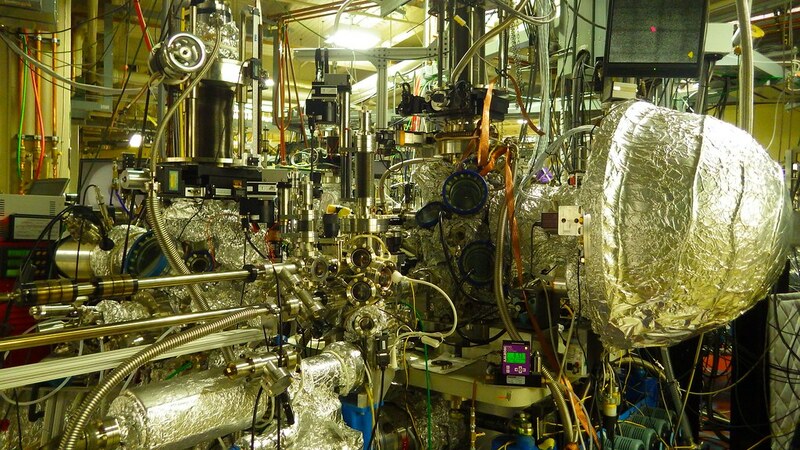 If you've ever built your own spectrometer with a cereal box, duct tape and CD, you can see the above setup is altogether a different beast replete with it's own cryostat. All that wrapped foil is not a scientist's idea of a prank. The foil actually keeps the heat in for burning out the impurities inside the system in order to create a serious vacuum.